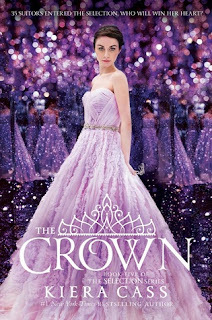 I'm a HUGE fan of The Selection series by Kiera Cass, with the first three books being my absolute favorites. Admittedly The Heir didn't quite live up to my expectations, but I'm still hoping for another lovely story in The Crown (even though the cover is kinda putting me off). Anyway, America and Maxon made a really great couple- and I'm hoping Eadlyn is as lucky as them when it comes to love! I haven't read this series, although I keep seeing it everywhere. I hope you like it more than the last one. I hope I do too, Angela! :)) Having high hopes for this one! I didn't like The Selection series that much, but TONS of people do and I've seen this book quite a few times. Absolutely love the cover though. I have only read the first in the series, but do plan to read the rest. I have such a ridiculous amount of series going. I hope this is everything you are hoping for. You should- and soon! :)) Hope you get through all those series soon, Roo! I haven't had a chance to start this series yet! Thanks for sharing! Oh nice! Never did get into this series sadly. Hope you enjoy this one once you read it! Thanks for visiting my WoW! I'm going to binge on this series after this one is released and I can't wait! I haven't read any of this series. I hope you enjoy reading this book! YES, YES, YES THERE'S A NEW BOOK!!!! How come you never came across it before? :D Hope you catch up with the rest of the series soon, Jill! 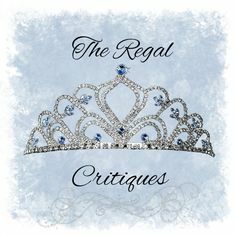 Royal Rantings - I Hated This Book!